The health benefits of the CBD and THC in cannabis oil are many. 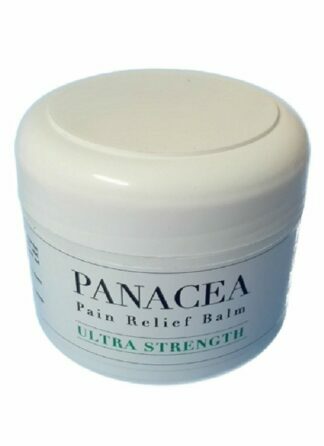 They exhibit potent antioxidant, analgesic, anti-cancer, anti-inflammatory and analgesic effects. THC and CBD work together synergistically to potentiate the overall curative effect. As examples, CBD enhances the analgesic or painkilling effect of THC, while THC enhances the anti-cancer effects of CBD. In turn, CBD also lessens the psychotropic or psychoactive effect of THC. Interestingly, both CBD and THC stimulate neurogenesis in mammals, the creation of new brain cells. The purpose of this study was to investigate the potential therapeutic qualities of Δ9-tetrahydrocannabinol (THC) with respect to slowing or halting the hallmark characteristics of Alzheimer’s disease. We did discover that THC directly interacts with Aβ peptide, thereby inhibiting aggregation. Furthermore, THC was effective at lowering both total GSK-3β levels and phosphorylated GSK-3β in a dose-dependent manner at low concentrations. At the treatment concentrations, no toxicity was observed and the CB1 receptor was not significantly upregulated. Additionally, low doses of THC can enhance mitochondria function and does not inhibit melatonin’s enhancement of mitochondria function. These sets of data strongly suggest that THC could be a potential therapeutic treatment option for Alzheimer’s disease through multiple functions and pathways. Early reports of cannabis for the treatment of headache appear to be largely positive, with many patients experiencing a decrease in the frequency and intensity of their headache episodes. In some cases, headache was cured entirely even after cannabis discontinuation. Furthermore, these early clinical reports praise the apparent safety of long-term cannabis use, as well as its added benefits of mollifying the nausea and anxiety that often accompany headaches. Preclinical studies examining the role of the endocannabinoid system in migraine pathogenesis also suggest a potential therapeutic value for cannabis in the treatment of headache. THC has twenty times the anti-inflammatory potency of aspirin and twice that of hydrocortisone. Cannabidiol, a non-euphoriant phytocannabinoid common in certain strains, shares neuroprotective effects with THC, inhibits glutamate neurotoxicity, and displays antioxidant activity greater than ascorbic acid (vitamin C) or tocopherol (vitamin E). CBD additionally affects THC function by inhibiting first pass hepatic metabolism to the possibly more psychoactive 11-hydroxy-THC, prolonging its half-life, and reducing associated intoxication, panic, anxiety and tachycardia. Additionally, CBD is able to inhibit tumor necrosis factor-alpha (TNF-α) in its own right in a rodent model of rheumatoid arthritis. To summarize, cannabis and cannabinoids are useful in managing symptoms related to cancer and its treatment. Exciting preclinical evidence suggests that cannabinoids are not only effective in the treatment but also in the prevention of chemotherapy-induced peripheral neuropathy. Cannabinoids could be synergistic with opioids in the relief of pain. The safety profile of cannabis is acceptable, with side effects that are generally tolerable and short-lived. Preclinical data suggest that cannabinoids could have direct antitumour activity, possibly most impressive in central nervous system malignancies. 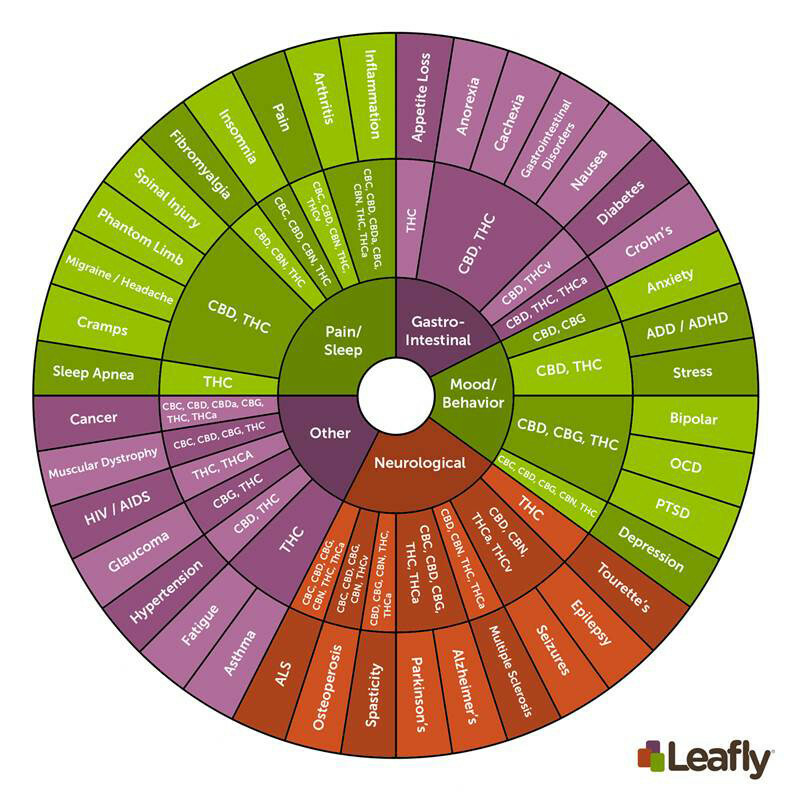 Clinical data about the effects of cannabis concentrates on cancer are as yet unavailable. Oncologists could find cannabis and cannabinoids to be effective tools in their care of patients living with and beyond cancer. A significant number of people with multiple sclerosis (PwMS) are using or considering using cannabis for a range of symptoms. Recent studies have indicated that there is a wide acceptance of cannabis within the MS community. In our opinion, it is important to start to investigate cannabis use in MS with robust observational trials, such as Phase IV studies and other comparative effective research designs. The marijuana plant Cannabis sativa and its derivatives, cannabinoids, have grown increasingly popular as a potential therapy for inflammatory bowel disease (IBD). Studies have shown that modulation of the endocannabinoid system, which regulates various functions in the body and has been shown to play a key role in the pathogenesis of IBD. The authors conducted a retrospective, observational study of 30 CD patients in Israel who were legally using cannabis due to a lack of response to conventional treatments and chronic intractable pain… All 30 patients rated their general medical well-being as improved after cannabis use via a visual analog scale. Twenty-one patients had a notable improvement after treatment with cannabis use. A significant portion of IBD patients, particularly those with severe disease, use cannabis to relieve symptoms of pain, nausea, and appetite and to improve their overall mood. The significant morbidity seen in patients with severe disease emphasizes the limited number of conventional therapies for symptomatic control of IBD, a disorder still poorly understood. Patients with IBD have increased rates of psychiatric disease, pain, and malnutrition, and thus the use of adjunctive therapies or CAM to treat poorly controlled symptoms may improve patient morbidity. Medical cannabis was found to improve symptoms of PD in the initial stages of treatment and did not cause major adverse effects in this pilot, 2-center, retrospective survey. The extent of use and the reported effects lend support to further development of safer and more effective drugs derived from Cannabis sativa. 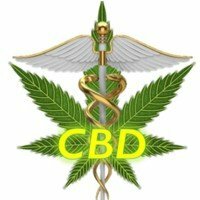 What is the Best Ratio of CBD and THC? One of the most critical factors in determining the correct ratio of CBD and THC is the person’s sensitivity to THC. While some can enjoy the euphoric effects of a high THC preparation, others dislike the high and find it unpleasant. 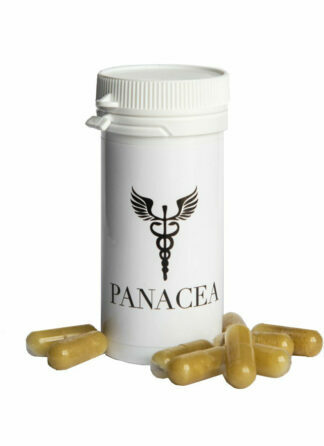 People required to undergo routine drug tests should not use any preparation containing THC. For these and many other reasons, many people opt for CBD oil, a CBD-rich oil made from a variety of cannabis called hemp, which typically contains moderate to high concentrations of CBD, a cannabinoid in cannabis that is recognised for its many medicinal benefits, and only trace concentrations of THC, the psychoactive cannabinoid in cannabis. 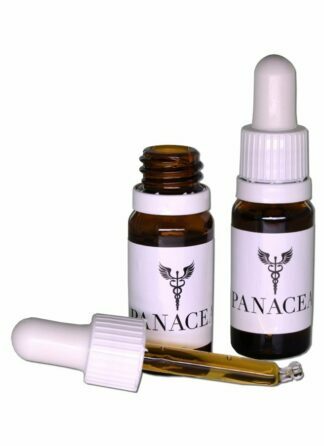 You can purchase Cannabis Oil products from our online store, and we will courier your package to your door or a nearby collection point anywhere in South Africa. For international customers, select the ‘Quote for Worldwide Shipping’ option at the checkout. Take a look at our most popular Cannabis Oil products below. It would almost seem that the health benefits of Cannabis Oil are too good to be true, but scientific studies are now bolstering what was once just anecdotal evidence for the effectiveness of Cannabis Oil in the treatment of so many ailments and maladies. If you are interested in Cannabis Oil oil and would like to know more, please do feel free to contact our customer service team at support@organica.co.za, or click the chat button on our website.